Quick recap: In the early 1980s, Clause von Bülow was found guilty for attempted murder of his wife Sunny. It was a sensational trial and the public was quick to deem Bülow guilty before the trial even got off of the ground. The movie tells the story of the appeal process, which in itself is an adaptation of the book, ‘Reversal of Fortune’, written by Alan Dershowitz, who took the case on. Dershowitz is given the task of defending a man everyone thinks is guilty. He creates a team of top notch lawyers to dissect the previous case and come up with an appeal to get Bülow acquitted. Fun(?) Fact: The real Sunny Bülow went into a coma in 1980 and stayed in one until she died in 2008. My Thoughts: If there is one thing Americans love, it is all the sensational trials that get plastered over the daily news. And even more than sensational trials, Americans love to watch movies based on books based on those trials. So naturally, even though this movie is considered one of the 1001 movies to see before you die, I was expecting some glossy retelling, like you would find on Lifetime. So, I was pleasantly surprised that the movie turned out so interesting. Being a geek about such things, I was more excited learning about the appeal process and what is needed rather than the case itself. I think that is the point of the movie: not to show that Bülow really was innocent, but to show the legal process in reality. When the process isn’t followed correctly, guilty people walk free. Which is another thing I think set this movie apart from the others- that we are left to draw our own conclusions as to what put Sunny Bülow into a coma back in 1980. The move is narrated by Glenn Close, who plays Sunny Bülow. She tells the story as she is in a coma, which reminds me of the narration on Desperate Housewives, which was done by the main character who committed suicide. Or maybe it reminded me of that show because Felicity Huffman is in ‘Reversal of Fortune’. Although Clause von Bülow was acquitted of all charges, he acts guilty as hell. Jeremy Irons plays him like a british zombie undertaker, which I don’t know if that’s an acting thing, but it describes the character well. He also makes inappropriate jokes about injecting his wife with insulin so that she falls into a coma. I think Dershowitz’s point in taking the case is that innocent jerks need lawyers too. The state botched the case in several ways and excluded evidence they shouldn’t have because this guy oozes guilty. I think it’s a fair reminder for all those people that sit on the couch, watching these trials and pretending to be the judge and executioner- you only see what you shown. There may be more to a story. Final review: 4/5. For people who love Lifetime movies, I’d recommend this as a quality alternative with some meat. It’s a compelling story for anyone and it makes the rich look bad, which is always fun. How/ Where I watched it: Netflix DVD with a bomber of the Leprechaun Strawberry Seasonal Cider. SO GOOD. Up next: The Long Goodbye- interestingly enough, I’ve never seen the movie but John Williams did the soundtrack so I’m familiar with that aspect. Quick recap: Robert Crumb is an underground comic artist, known for his psychedelic characters as well as sexualized images of women and cats. That’s right, Crumb is the creator of Fritz the Cat. This documentary focuses on his sad upbringing and his two brothers who have mental illnesses. There are interviews with Crumb himself as well as former girlfriends and wives. Fun (?) Fact: I knew nothing about Crumb or his work before this film so everything was a big revelation. Despite creating some of the weirdest comics around, Crumb has a semi-normal life with his wife and daughter. My thoughts: As I stated above, I knew absolutely knew nothing about Crumb before watching the film but after watching for just a couple of minutes, easily recognized his work. If a documentary’s purpose is to shed light on an unknown or little known subject, this one did so perfectly. There were no voiceovers and just a couple of ‘experts’ interviewed. Most of the film is Crumb living out his life or talking to his two brothers. 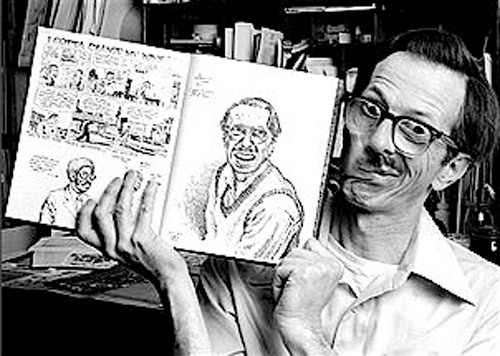 Crumb is known for creating some of the most controversial comics of his time. Many follow a theme of degrading women to some degree as well as some racist characters thrown in for good measure. Every bone in my body should be disgusted by his work, but I’m not. The documentary does a thorough job explaining some of the reasons Crumb chooses these subjects. His childhood was awful and the interviews with the brothers are heartbreaking to watch, not just because of the mental illness, but because they have just as much talent as Crumb does. And yet, he is the only one able to function in the world. Every critique of Crumb that could be made already has, so I’ll just focus on the film aspect. Throughout the film I saw Crumb as more of a goofy, geeky guy rather than sexual deviant as some have called him. This film was made in the early 90’s, but Crumb fits in among the indie and hipster crowd. He has an insane amount of records and hates the idea of his work becoming popular. In one interview, Crumb talks about how he was starting to get noticed and had many offers coming in and in response to that, started drawing the truly perverse stuff. Part of me wants to meet Crumb and just give him a hug because he has had so many bad things happen, but a larger part of me is just in awe of how much he has accomplished and how he has used his talent. His drawings were popular in the pre internet stage when people with the same fetishes and kinks had to really reach out to find others like them. Now there is something for everyone with the click of a button. 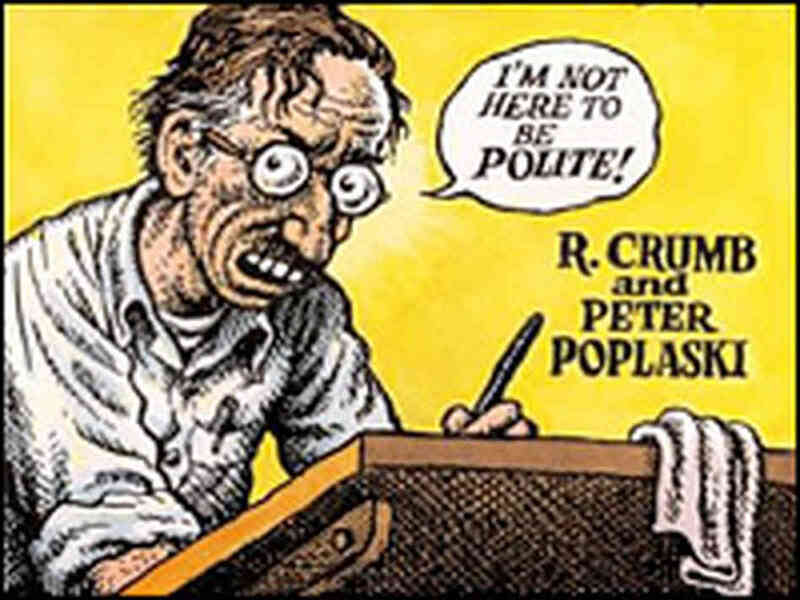 Crumb thrived in a time when his personality and sexual desires drove people away. There is one interview where a girl comes up and tells him that she stumbled upon his comics when she was younger and how much it disturbed her. Crumb replied that he draws so that someone can be helped and get something out of it. It’s not for everybody, but his art is still important. Final review: 4/5. This movie was rated R for good reason. If you can get past all the sexual stuff of which there is A LOT, then you’ll find that this is one of the finest documentaries out there. Truly fascinating. Where/How I watched it: Netflix, sipping on Karbach’s Weisse Versa. This was my first time to pour from can to pint glass and I was rather proud that I didn’t spill! Quick Recap: The movie follows Sally Bowles, an American, and Brian Roberts, an Englishman, as they navigate their way through Berlin in the 1930s. Bowles is a singer at the local Kit Kat club, while Roberts is working on his doctorate in philosophy while tutoring students in English. The two become friends and later lovers. While their affair is going on, the Nazi party is beginning its rise in Germany and by the end of the film has completely taken over Berlin. Fun (?) Fact: If you are looking for a film version of the stage musical, this ain’t it. Cliff Bradshaw on the stage is now Brian Roberts. Sally Bowles is American instead of British and most of the songs have been cut while others have been added in. Whew. I feel better now. 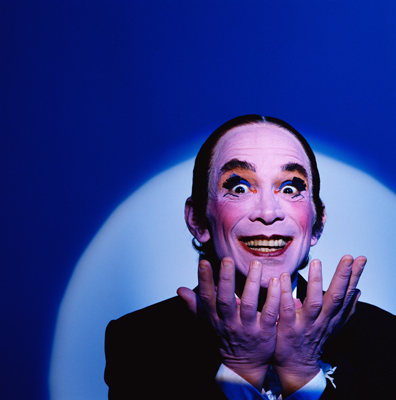 So anyway, I saw the stage version of ‘Cabaret’ a few years ago and quite enjoyed it so I figured this would be the same but better. The fact that the film version was so different from the stage version took me awhile to pick up on. I just thought that maybe I had slept through the whole thing or just completely missed the point. The themes are the same though. As someone who doesn’t always enjoy ‘sing talking’, I like the director’s idea to put all musical numbers inside the Kit Kat club and to have them complement the plot that is going on outside.Those scenes were my favorite, especially seeing the rise of the Nazi party in the club. At the beginning of the film, members of the Nazi Party are kicked out but by the end they make up the majority of patrons. It was such a striking way to tell that part of the story. Liza Minnelli is brilliant in her role as Sally Bowles. She plays the perfect mix of broken, optimistic, captivating girl. I spent the entire movie going back and forth between feeling sorry for her and loving her unique style. The issue I had with the movie was how hard everyone tried to drive the point that pre war Germany is BAD. It’s a place where people cheat on each other, have abortions and go to a seedy nightclub where anything can happen. So it’s no wonder the Nazi Party has risen to power in all this mess. In reality, it was much more complicated than that. The same goes for the subplot of Fritz and Natalia. It was like someone said, ‘Hey! We are making a film about pre-war Berlin! Where are the Jews? The audience is going to get really confused if we don’t throw in some Jews!’ And so they did. The most powerful scene in the movie is at the beer garden as the young boy stands up and starts to sing a German national song. He begins the song as a loving tribute to his country and then people start standing up and singing along. At the end of the number, everyone is angry and the song has become a sort of marching song for the Nazi Party. Final review: 3/5. I loved the musical numbers at the Kit Kat club and loved Liza Minnelli’s performance. I can see why it is considered a great film, but I wouldn’t want to sit through it again. Where/how I watched it: Netflix DVD while I enjoyed a St. Arnold Icon. It is not my favorite hefeweizen but it was good.